Apps, originally were offered mainly for productivity and information retrieval, including emails, calendar and contacts information. But, nowadays gaming has taken an all important place amongst the millennials, and searching for the best gaming apps can be really a daunting task. Casino.com App for iOS and Android is perhaps the most comprehensive gaming app on the market with an array of games that will keep you busy for pretty long, coupled with fantastic high-definition graphics. With the top notch sounds and graphics across all the different game types and platforms, even new players will be spoilt as the amount of choice could be a little overwhelming. The realistic sound effects and the excellent voice over work and ambient Jazz piano (playing in the background) all add to the overall ambience. 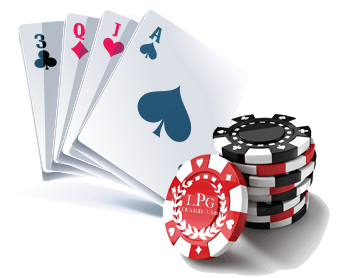 As a casino hub of various games categorized into ‘table games’ such as Texas Hold’em, ‘Slots’ such as Iron Man 2 and ‘Roulette’ with both Royal Roulette and European Roulette, updated regularly, you can be sure to see latest games from even the highly addictive X-men Slots. And most appreciably, the games are fun for both the non-gambler and those that like a little flutter. Every game has a demo mode so you can practice all you like using ‘demo cash’ before hitting the big leagues and each game is downloadable only on request so you do not need to worry about long download times. Casino.com aggregated all the games into one complete package, reproducing the high-end Casino experience for the mobile Casino. Overall, it feels professional and at the same time accommodating for newbies, as contents available for free is fantastic.